Just fifteen months after releasing Jordpuls, an intricate album of atmospheric metal, Sweden's Vintersorg return with Orkan. With their previous album, the duo of Andreas Hedlund (aka Vintersorg) and Mattias Marklund punctuated their four-year absence with a work so textured and engaging that it came quite close to cracking my Top Ten Albums of 2011. Orkan, the second in a planned series of element-themed releases, retains the qualities that made Jordpuls such a powerful album while also reaching back a bit into Vintersorg's brutal past. The theme of Jordpuls was Earth, which resulted in an organic and somewhat subdued atmosphere. Orkan, which translates to 'hurricane', is inspired by the element of Water - a force that can be both soothing and chaotic. 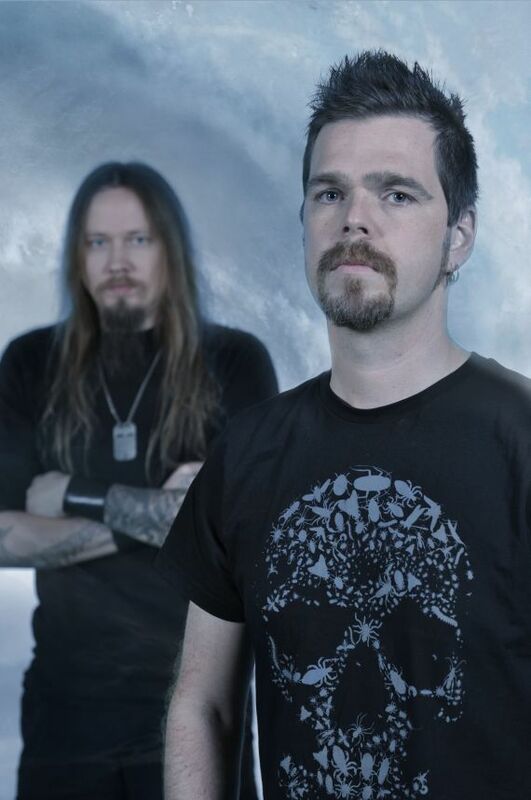 Hedlund does a stellar job capturing this contrast within each song on Orkan, seamlessly blending lush, orchestral passages with tremolo riffs and aggressive vocals. Hedlund's snarls and shrieks are more prevalent on Orkan than on Jordpuls, as are the black metal guitar and drum elements (the latter still programmed), but he also adds a number of new elements to the mix. Most notable are the brass and woodwind instruments, which make their appearance right away on album opener "Istid". Used primarily to lend a majestic touch, the flute does add a bit of a Jethro Tull flavor to the music now and then. Further on, album highlight "Polarnatten" opens with a plucky string arrangement that sounds very similar to Edvard Grieg's "Into the Hall of the Mountain King". The track quickly cascades into a cacophonous drum fill and frantic riffing before closing with a bit of a harpsichord passage. While many of the songs, the title track in particular, have engaging melodies, the most attention-grabbing aspect of Orkan lies in the composition of the choruses. While Jordpuls contained many infectious refrains, Hedlund stepped it up a notch here by maximizing vocal harmonics and layering the lyrics atop some rather ingenious keyboard and guitar foundations. The robust, folksy choruses of "Istid" are prime examples. 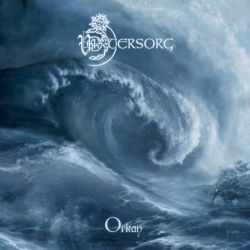 Held against the backdrop of not only Jordpuls, but of Vintersorg's entire back catalog, Orkan is perhaps the most broad example of the band's evolution. The harsh, sometimes stark aggressiveness of the earlier albums (not to mention Hedlund's other projects) settles in well with the mesmerizing experimentation of the band's most atmospheric releases. That said, I think that Orkan falls just shy of the mark set by Jordpuls primarily because of the increase in the more brutal points. There can be no doubt, though, that Vintersorg truly captured the essence of their theme.